NEW TRADE IN!!! 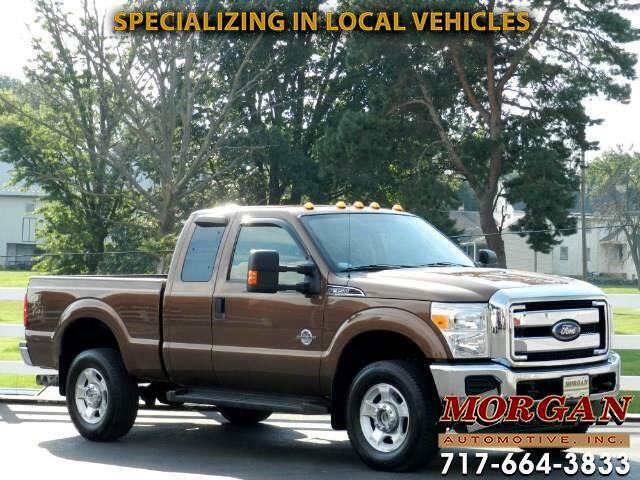 **** SUPER CLEAN 2011 FORD F-350 SUPERCAB WITH 6.5' BED AND 6.7L POWER STROKE DIESEL ENGINE!! ****CLEAN CARFAX**** This is a very nice 3/4-ton truck with nice equipment including HD tow package, integrated trailer brake control, four AUX switches, Cruise Control, power windows, locks and mirrors, bed liner, fixed running boards, WeatherTech floor mats and AM/FM/CD/AUX radio with Bluetooth for hands-free phone calls. 6-passenger configuration with 40/20/40 front bucket seats. 11,400lb GVWR and 3.55 limited slip rear axle. Runs and drives great, has just been through our Morgan Automotive certification passing a 110 point check, fresh oil, and tires/brakes are over 50%. Comes with a four month powertrain warranty with options to extend it for added piece of mind. Financing is available, if interested please contact one of our commission free sales team members.